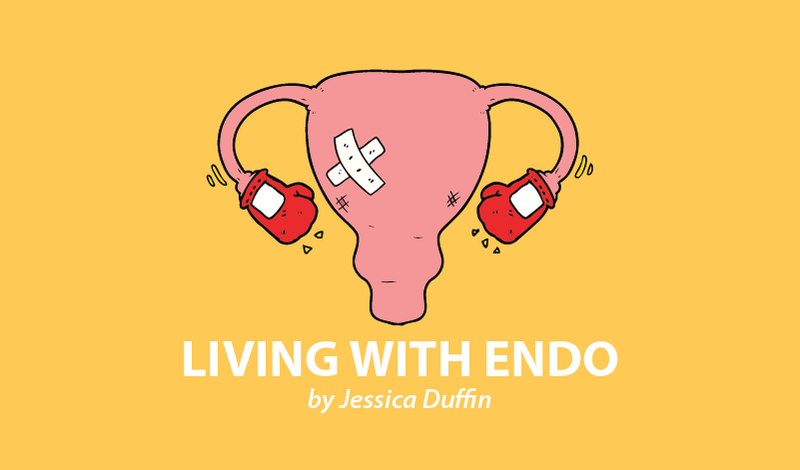 While I didn’t go to see a counselor for endometriosis, it’s almost laughable how much the disease can have a knock-on effect on so many areas of your body and mind. 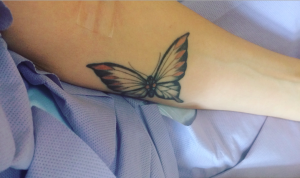 I saw a counselor before I was diagnosed with endometriosis, for low self-esteem and depression, but I didn’t know then that I had endometriosis. 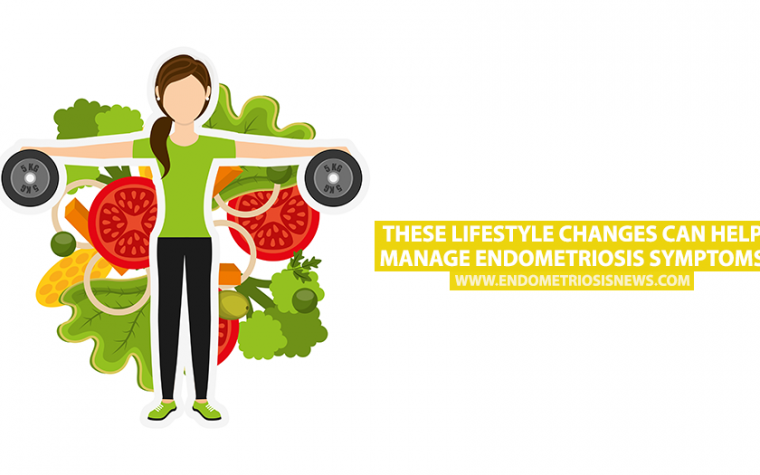 I now feel the issues I was grappling with were all side effects of endometriosis in some shape or form. I’ve struggled for most of my adolescent and adult life with believing that I am weaker than everyone else. This created and further fueled a desperate need to be perfect, to perform, and to achieve so that I could prove that while I may seem weak, I’m capable of great things. 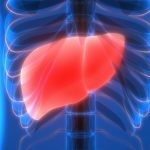 I, of course, had no idea while growing up that my constant fatigue, low energy, and poor health were because I was actually battling a currently incurable disease. Then there was the bloating. It might sound superficial and silly, but I began bloating at a young age, and no one really looked into it. I already had a thing about stomachs after I was told, “Ladies hold their stomachs in,” when I was only 10 years old. And as this mysterious bloating continued, I became convinced it was fat. This was the beginning of an incredibly lengthy battle with my body and mind, which worsened thanks to the hormonal acne that can sometimes accompany endometriosis and the intense mood swings that plagued me daily. Then there was the depression (the anxiety was discovered much later on). 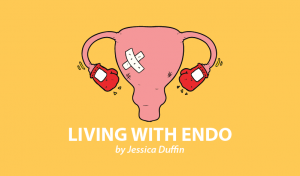 The link between depression and endometriosis is still being researched, and it kind of goes without saying that living with a chronic illness can lead to depression But when I was younger and sought counseling, I wasn’t battling with any physical pain at all. 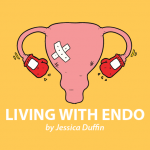 I didn’t even know I had endometriosis. Yet, this doesn’t mean that my depression wasn’t related. Depression can be caused by many things, but there is mounting evidence to show that inflammation — which women with endometriosis have higher levels of — leads to depression. 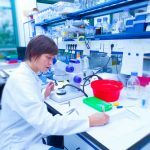 There is also much research on the impact of gut health on our mental health, and as many endometriosis patients know, food sensitivities seem to go hand-in-hand with endometriosis. 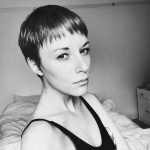 So, essentially, I went for help before I was knowingly battling with endometriosis, and I had a whole heap of other complicated life issues as well. And yet here I was, with all of these mental health issues that were directly or indirectly linked to a disease I didn’t realize I was living with. My counseling experience isn’t as vivid in my mind as some of my other therapy experiences are, and I have to wonder whether this is because it perhaps didn’t pull up as much heavy trauma as other forms of therapy. What I do remember was a lack of resistance on my part and a feeling of comfort. Counseling must have felt like a safe space for me, as I remember my counselor with an almost fondness, and I don’t recall having any reluctance to talk to her, or any resentment for the hard work we were doing. Perhaps because counseling is usually focused on a few issues only, and because you’re not digging up old graves and analyzing the bones beneath, it’s easier to digest. It’s easier to make progress because you feel less overwhelmed by the amount of stuff you’re pulling up. Talking to my counselor was almost like problem-solving. I had space to share experiences, but then space to reflect on why I felt that way I felt, and then like a puzzle, we put together the pieces to find an answer we could work with. While counseling is solution-focused to a degree, it didn’t feel as heavy or restrictive as cognitive behavioral therapy (CBT) seemed to me, where sometimes it felt like we would jump into finding solutions almost before I’d finished explaining the issue. Counseling, in my mind, is a lighter type of talking therapy. If you’re new to seeking this kind of help for endometriosis, depression, etc., it could potentially be a good starting point. You’ll have the room to talk, but you’ll remain focused, and won’t spend too much time looking backward so that you can begin moving forward with your life. Tagged cognitive behavioral therapy, counseling, depression, therapy.